To celebrate Mother’s Day this Sunday, and the Blu-ray/DVD release of THE HUNGER GAMES: MOCKINGJAY – PART 1 this Monday, Lionsgate UK has partnered with iFlorist – the Queen’s Award winning international floral gifting company – to launch one of their most iconic bunch of white roses as President Snow’s White Roses. President Snow is the ruler of the Capitol, always displaying a white rose in his lapel. 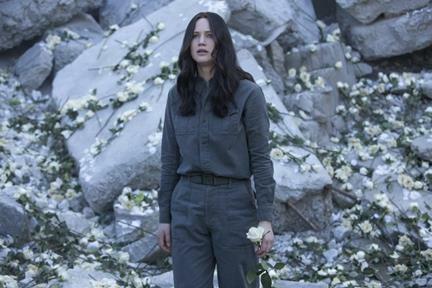 In Mockingjay – Part 1, he leaves a mountain of white roses outside of District 13 for Katniss Everdeen to find, to remind her of her friend Peeta who is currently being held captive in Panem.